The Promenade Condos in Provo Utah are BYU Approved. The Promenade Townhomes are located at 886/888 E. 820 N. and 761 N. 800 E. in Provo, UT 84606. 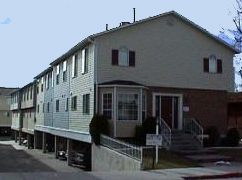 The Promenade Condos in Provo Utah were built in 1986 and have 20 units. These condos have been FHA approved in the past. 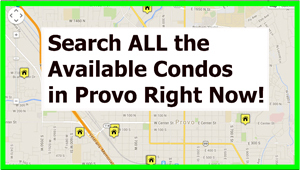 I searched the multiple listing service for historical sold data on the Promenade Condos in Provo Utah. Here is what I found. The earliest sold condo on the MLS was posted in November of 1996 for $127,000. Between 1996-2000 the prices climbed to a high of $170,000. Over the next five years the prices at the Promenade Condos in Provo Utah continued to climb. These prices jumped up to $190,000 in 2005. In 2008 the Promenade Condos in Provo Utah hit a high of $213,000. The prices then dipped down into the high $180′s. However, prices moved back above $200,000 in 2012. One of the condos sold in 2012 for $212,900. hese condos do not come for sale very often but when they do they have a high demand. If you own one of the Promenade Condos in Provo Utah and are thinking of selling it contact Paul with Team Teasdale Realty. Paul will gather the current market data relating to the value of this condo. Are you looking to buy a condo in Provo Utah? Hire a local Provo Utah Realtor to help you find a condo. Paul has been selling condos in Provo Utah since 1995. Paul has sold over 1,000 properties in Utah County and is very familiar with the condos in Provo. In fact, Paul attended and graduated from BYU. He spend much of his time getting very familiar with the various condo complexes. Hire an agent that is familiar with the condo market in Provo Utah.